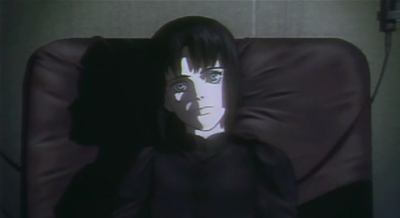 Ghost in the Shell is one of the landmarks of the cyberpunk genre. Released in 1995 simultaneously in Japan, Britain and United States, it didnt fare well at first, only becoming a hit when it was released on video. 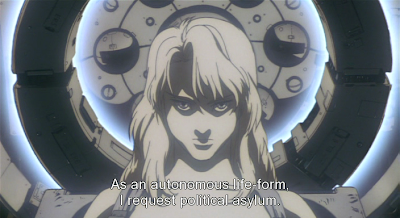 - philosophy on what means to be human and the blurry line between human and machine. On top of that, GitS offers truly outstanding animation, even 15 years after its release. Animation that pushes the boundaries and breaks free of its anime conventions, something that happened some years before with Akira and some years later with Innocence: Ghost in the Shell. 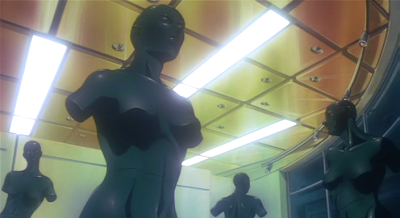 The movie follows Major Motoko Kusanagi and Section 9 operactives on the run for the hacker known only as Puppet Master. What ensue is a plot, character driven movie with a few but breath taking action scenes in between and political intrigue to boost. Also, it is philosofically heavy themed, e.g, what means to be human, what makes us human, self-aware Artifical Intelligence and many more questions. 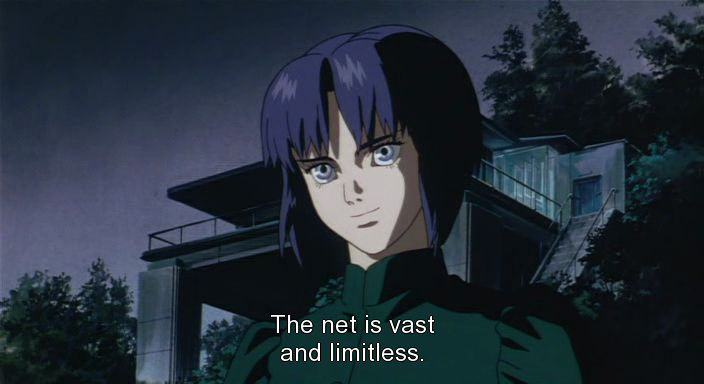 GitS is handful on questioning the human nature and man-machine interface but it does not provide answers. Even now, fifteen years later after its release, we do not have the answers for these questions. It is up to the viewer´s personnal interpretion. Mamoru Oshii is known for a deliberate, slow moving pace and Ghost in the Shell is a prime example of his style. Running at 01 hour and 25 minutes, GitS is intercut with scenes not relating directly to the plot, but with Kenji Kawai´s masterful score, it helps to put the audience in the mood and feel Motoko´s displacement and questioning. 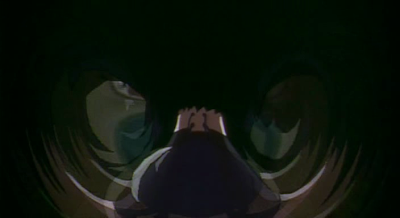 At least two scenes have no dialogue and are only moved by Kawai´s music; another moves the plot along with no dialogue as well, showing only the characters action throughout. 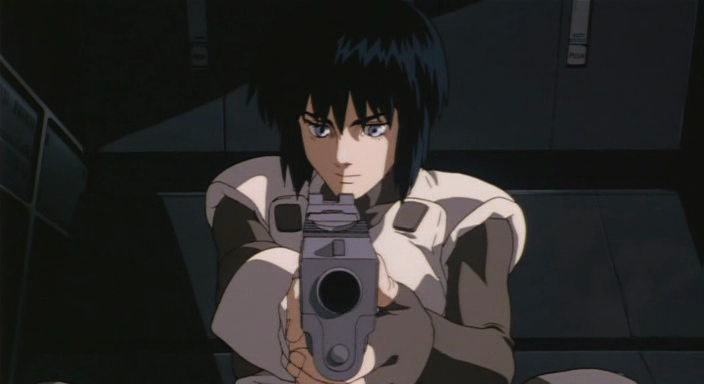 Ghost in the Shell is a classic, an influencial masterpiece for many filmmakers across the globe, like the Wachowski Brothers and The Matrix, a influence it cannot be denied, whether is on anime or live action field. 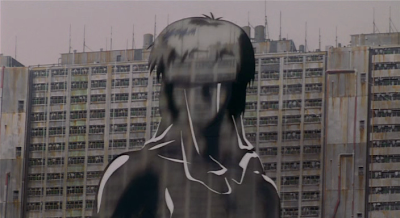 A landmark that 15 years later still holds up.